I have been getting Android Studio requests for a while now so I decided to make one. In my opinion Android Studio is finally better then Eclipse for developing Android apps. It is also very easy to install. We’ll look at how to install it on Windows and Mac OSX. Then well configure everything properly to make sure we handle the potential errors. We set up gitHub and go over how to push to remote repositories. We then look at Gradle, the interface and much more. it is giving me an error “Unfortunately The application is stopped.” after deploying it in emulator. Why is that? Derek, please update your android studio. You have to install the JDK. If you are on windows you have to also set up the path. I cover that in this video. I encountered this error when installing Android SDK Manager. URL not found: c:\Program Files(x86)\Android\android-studio\sdk\temp\platform-tools_r20-windows.zip (Access is denied). This is more a curiosity. I have been using Eclipse to do my development and have seen, but not used Android Studio. Why did you chose to use Android Studio over Eclipse. I have not watched the video and if this is answered in the video, I apologize. 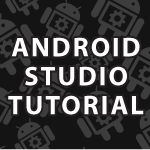 I use Android Studio now because it is geared completely towards making Android apps. Nothing gets in the way and all the plugins I need are preinstalled. I am 14 minutes into your video and it seems that my preview on the right has disappeared and replaced with a message “rendering problem: no android sdk found”. Why may this be and how can I fix this? When i try to add a virtual device it seems that i cant press the ok button after i fell in the information about the device. I am using w7 64 bit, android studio 8.0 Beta, 1.7.67 jdk. Do you know any thing about this problem? Hi Samer, Make sure you add everything I add in the SDK manager. I cover everything in detail in part 6 as well in this series. Hi Derek, Love your work. I have just started your Android tutorial with this video but am stuck on the Git bit. Androis studio is setup and working, i went to git and set up an account but when i try to import version control\share project on github (at 11:18 in the video), i keep getting an error fatal: remote origin already exists git. I have deleted the repository, retried, deleted, etc etc…..my head is wrecked at now! It would have been nice if you had of covered git in THIS video, i know there is a seperate git video but as this is for beginners, it would have been helpful especially as this seems to be a common enough issue. fatal: remote already exists that means you already added it. To see your remotes do git remote -v and git remote rm to remove. When i create a new project on android studio 0.8.6 i will get the error on .xml file rendering problems. please help me. Make sure you set your target SDK to 19 in your gradle and manifest files. I go over this in part 6 of this tutorial series. First of all thanks for the great videos… I would love to see them all. and for the past few days I have been spending several HOURS (seriously) on your site and youtube channel. I don’t know if this is an obvious question but is it possible to install on Win 8.1? Hi Johnny, Thank you 🙂 I’m happy you are enjoying them. 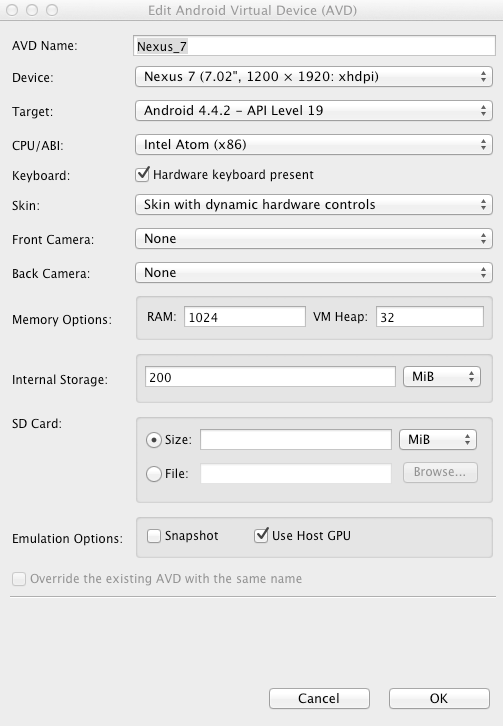 I cover the AVD and how to solve other common problems here. I hope it helps.